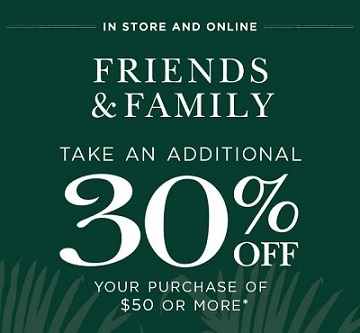 Have you already visited any U.S. Crabtree & Evelyn store or Crabtree & Evelyn online to enjoy a special savings? You can get an extra 30% discount on your purchase of $50 or more. Source of the information is Crabtree & Evelyn. Offer is valid through July 5, 2016. For more details visit your nearest U.S. Crabtree & Evelyn store or Crabtree & Evelyn online.